Our innovative blended learning program supports you in pursuing your goals of becoming a professional in the music and sound industry. 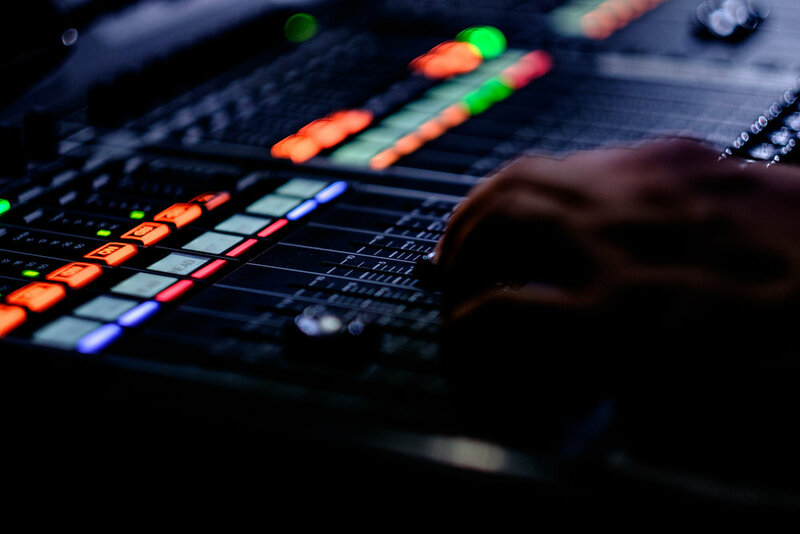 Whether you strive to become an Audio Engineer, a Music Producer, a Beat Designer or a Music Technology Specialist - we have the right courses and programmes for you. A flexible blended learning programme and a course schedule tailored to fit around your work and private life make this program unique. Affordable course fees (starting at 89 Euro per month) and a modular program make studying with United POP Online accessible and risk-free. UNITED POP Online combines the benefits of online-based eLearning and offline on-site studies in our modern blended learning courses. Your Virtual Campus is open for 24 hours every day and you're not limited by time or space and are able to study while working. You gain the highest amount of flexibility for your learning experience while studying the same courses and with the same degrees and learning outcomes as in our acclaimed on-site courses from United POP. Our tutors are inviting you every week to a Virtual Classroom session. In this interactive video livestream our tutors explain the new topics, give hands-on advices and answer questions. With our Web Based Trainings you get new materials on a weekly basis in a modern format. Either use the story mode, where the WBT runs in real-time with audio annotations, animations and video or use the book mode to learn in your own pace. Ask questions or bookmark certain topics directly in your WBT. As an enrolled student you will get access to additional state-of-the-art video libraries and contents, e.g. 360° videos that let you be part in actual studio situations with a virtual reality experience and video tutorials taught by recognized industry experts. At the beginning of each course there is a Kick-Off at our Campus in Berlin to introduce your tutors, get all information for the upcoming courses & to socialize and network with the other students. For your final exam you work on a practical project and have the chance to develop your graduation work at our campuses with the help of our experts and with state-of-the-art studio equipment. Our Virtual Campus has a lot of opportunities to ask questions, chat with other students or network between different disciplines and countries. This is your chance to start your creative network and work on additional projects together with creatives around the world. POP Projects offer students and graduates an opportunity to work interdisciplinary together to gain additional knowledge, receive feedback from experts and professional credits for their curriculum vitae. The terms and conditions vary depending on the different projects. There is always a release or presentation of the final work at the end of each POP Project. POP Projects are an additional feature and participation is optional. Study anywhere at any time at your own pace. We are proud that we have top notch industry experts from all over the world who like to share their knowledge in our courses. This is not a video-based online course where students are left alone after they have enrolled. Every week you are supposed to attend a virtual-classroom session plus we offer weekly supervising sessions with your personal tutor to give you the best support during your course. From more than 15 years of practical teaching experience, we know how important hands-on training and practical experience is. Hence why we offer a few weekends at selected United POP facilities where you have the opportuinty to collect real studio experience. Studying in a group of like-minded is much more fun and engaging than on your own. Being part of an active community while studying online helps you to prevent online-learning-fatigue and helps you to succeed. All single courses are part of the Diploma and Bachelor programmes. So you can start easy and if you figure out that our course concept and our system works for you then you can continue with one course after the other or upgrade to a full programme. We recommend to make a personal appointment with our study advisor who can help you with all of your individual questions. * Validated by the University Of West London. The Bachelor-Year is delivered in the following Degree Centers: Berlin, Cologne & Vienna. The contact time will be on weekends. You can start your UNITED POP Diploma online.